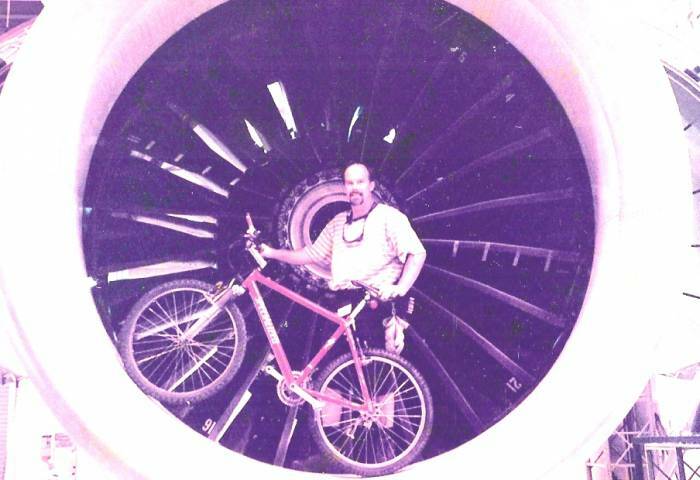 This pix was taken moments before I was sucked into the turbine. I was hospitalized, and successfully rebuilt. Unfortunatly, the bike was a total loss! Now I have a Santa Cruz Blur and a Surly Big Dummy. Current mailing address: getgern at gee mail dot calm.